I wanted an ornate, classical frame for a portrait a friend painted of my French bulldog. This frame certainly fits the bill, and everyone comments on how perfect the frame is for the portrait. 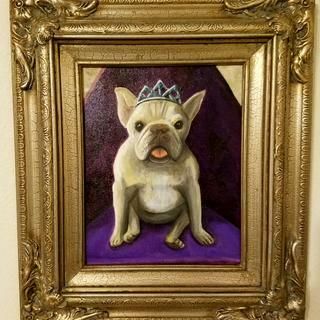 More gold than silver, the perfect frame for this portrait a friend painted of my French bulldog. Love this picture frame! Looks way more expensive than it was. Quality construction and perfect fit for my oil painting. My frame was exactly what I thought it would be. It was shipped perfectly and detail was a perfect accent for my picture. The prices are very good along with the selection. 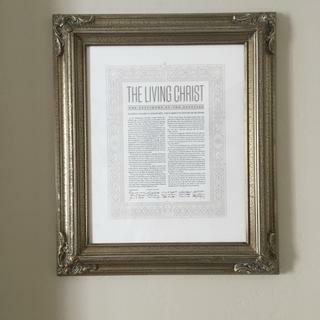 It has been difficult to find what I want in stores but easy when it comes to picture frames.com. Always great quality frames! Planning next purchase soon. The packaging was excellent. 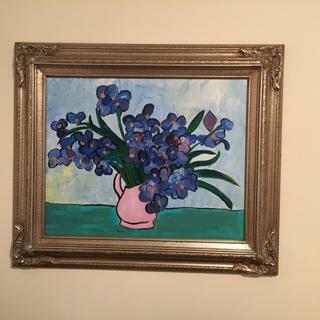 My only problem was that I was unable to use the little "hooks" you sent to hold the painting in the frame. That painting is on a canvas which is approx. 1/2 inch deep. Looks very good, and just as shown on the website. Excellent value. It exceeded my expectations. 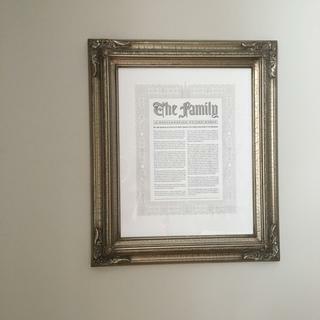 Beautiful frame, worth the money. Bought this frame for my wedding picture that has not been displayed in the 26 years I’ve been married. This frame is perfect. The quality is top notch for the price. Solid wood, very rich looking. Would highly recommend and will be using again. 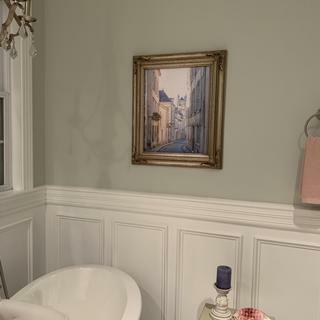 These frames are amazing quality, and the perfect french country touch! I will be ordering more! I am working on a conceptual art project which needs to have one very posh-kind of frame. I like the combination of old world elegance and rustic, and feel it will be perfect for my painting! 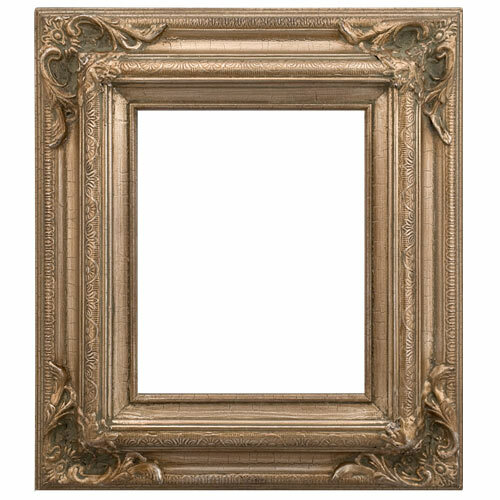 What depth of canvas will work with this frame? 3/4"? BEST ANSWER: Hello! 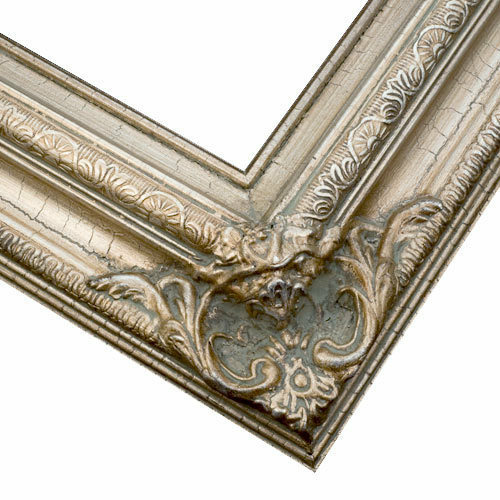 The depth of this beautiful frame is only 3/8". The canvas will need to be the same depth as the frame which is 3/4". Thank you for your inquiry! 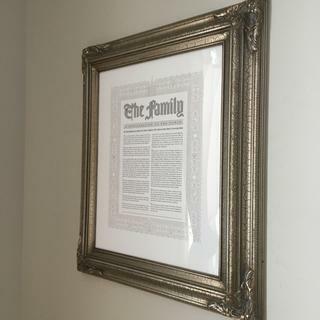 I love this frame but I need it in a custome size. Is it possible to customize it? BEST ANSWER: We are glad to hear that you love this frame! Unfortunately, this only comes in the sizes located in the drop down menu. We apologize that we aren't able to complete your request. I love this frame, but am concerned that it will not work for my 20 X 24 gallery-wrapped canvas print which is 1 1/4" deep. Can anyone advise? It worked nicely for a 1” thick canvas.